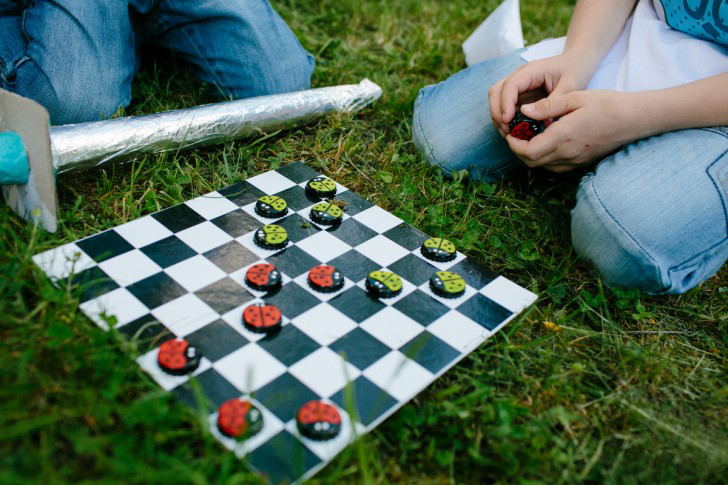 Homemade games for kids help them develop patience, learn how to play with other players fairly and pick up new skills like logic and counting. 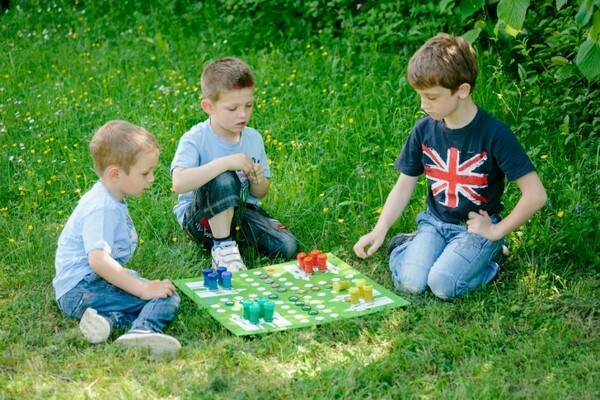 There are various easy board games that provide hours of fun for both adults and children. 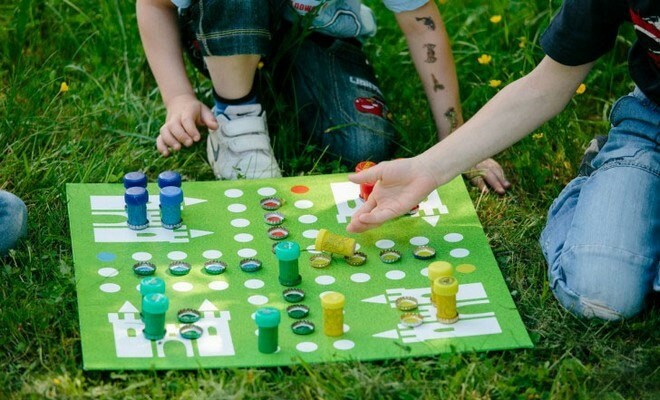 Ludo for example is a classic board game that is simple and entertaining. 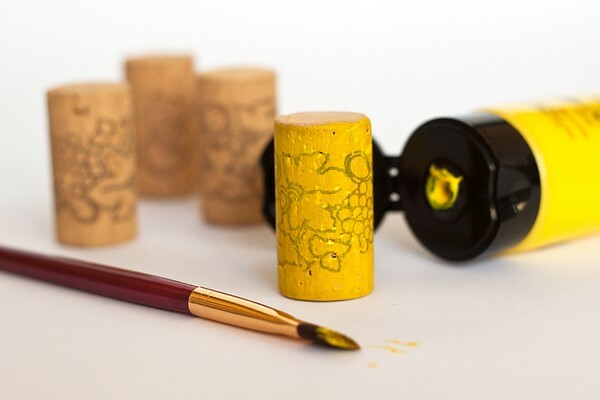 It could be easily made at home by using affordable materials such as wine corks, recycled metal and plastic caps. 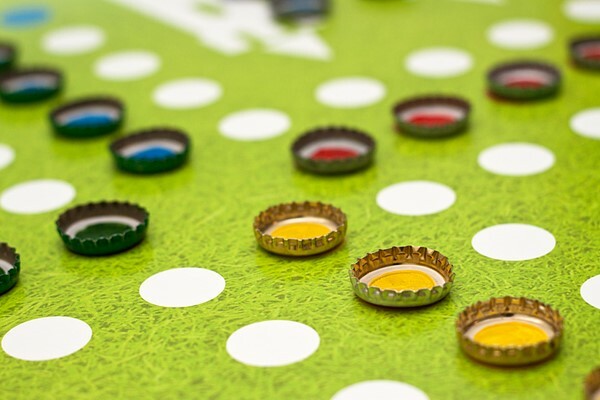 Divide all metal caps into four groups of eight caps for each player. 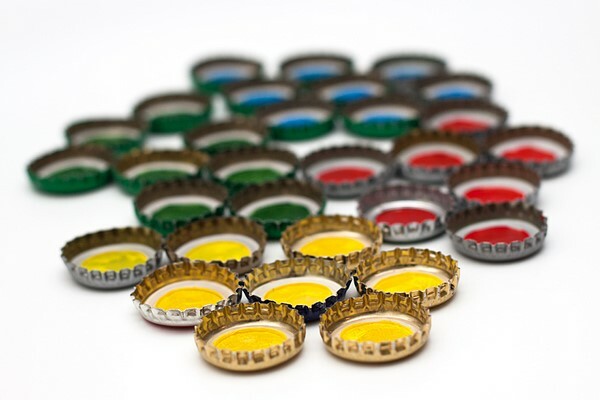 The inside of each cap will be painted in different color. 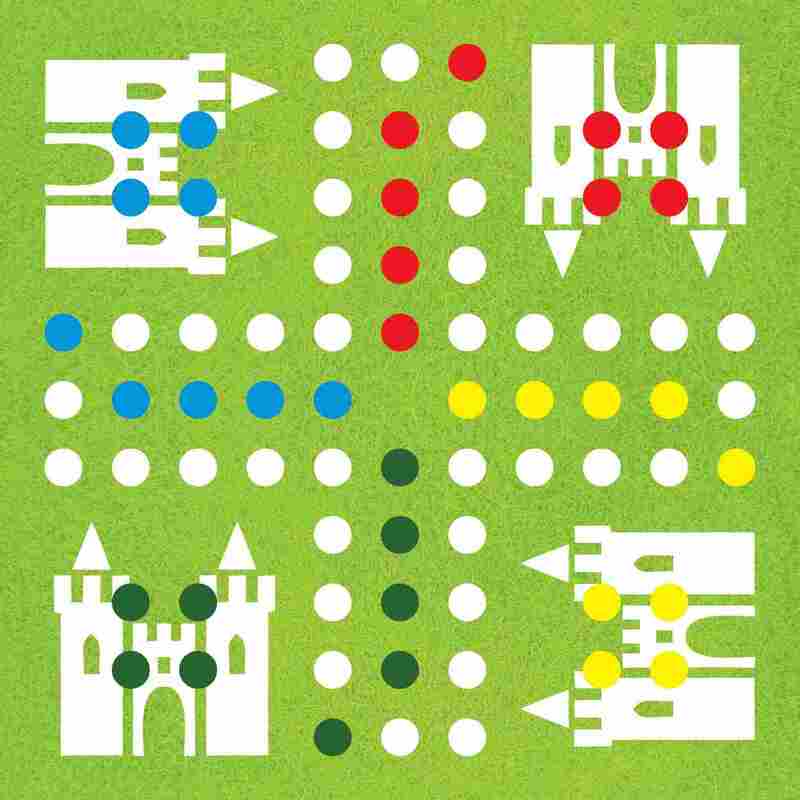 Usually the colors for the Ludo board game are yellow, red, blue and green but you can experiment with others, as well. Paint all caps and leave them to dry well. Glue the printed template to cardboard and cut out the excess. 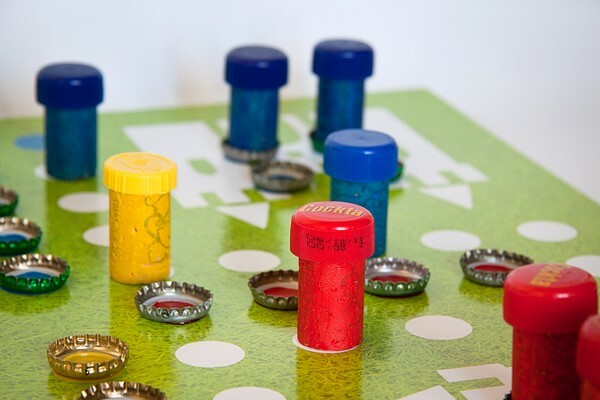 Glue each group of metal bottle caps in the right places as shown in the picture – four on the “path” and four at the “main station”. The board for the Ludo game is ready. We need 16 wine corks. They will be painted in each of the four colors. Use the same colors as the metal caps. For additional decoration you can use plastic caps in the same colors. 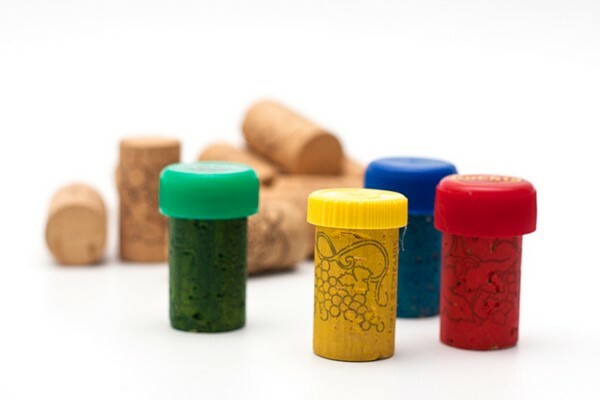 Glue them with hot glue gun on top of the corks. Now we have everything, and we are ready to play. No, something is missing! Guess what? A dice! Do you have an original idea to make it :)?